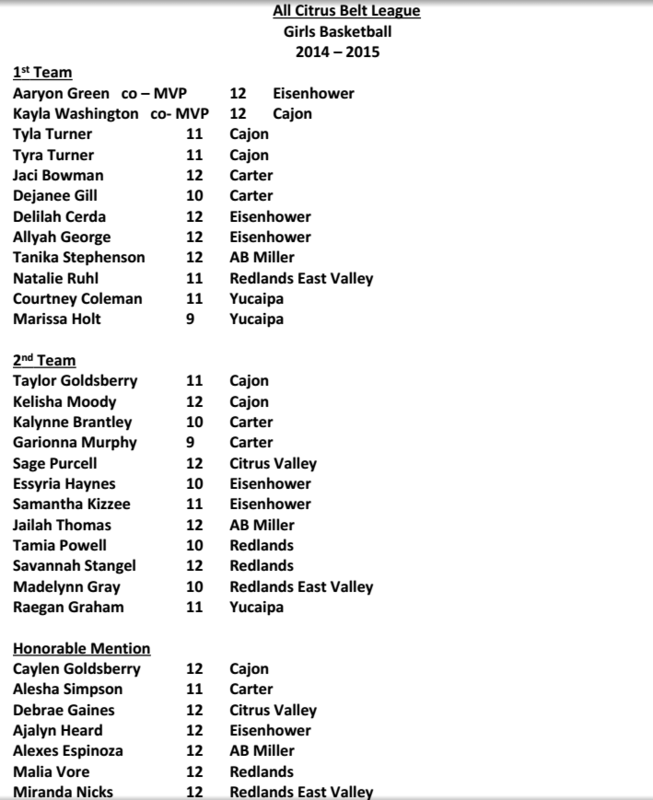 Skylar Lewis of Grand Terrace will be among the All-Star participants. Cajon High School will again host a girls-boys basketball All-Star double-header against neighboring Riverside County. The event is slated for next Friday, April 10 with the girls contest starting at 6 p.m. Colony coach Christine Howard will direct the San Bernardino team. Here are the rosters, although they’re subject to change.